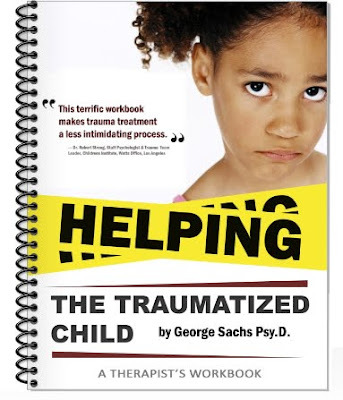 Helping the Traumatized Child: A Therapist's Workbook is designed as a helpful addition to any TFCBT therapist's library. 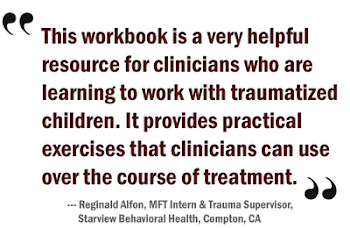 This workbook was created to be used in conjunction with TFCBT and offers the child therapist unique kid-friendly activities to compliment the TFCBT model components. This workbook has also been field tested with success in Los Angeles at the Children's Institute. The activities are based on cutting-edge research in the field of trauma treatment for children. Studies have found that educating children about trauma, providing positive stress management techniques, re-exposing the child to the traumatic events, and changing children’s distorted thoughts about the trauma, are all effective strategies for ameliorating the symptoms of Post-Traumatic Stress Disorder (PTSD). The activities in the workbook are best used with children ages seven to eighteen, but can be tailored for children as young as four-years old. This workbook is not designed to be used alone, but rather as a companion to an existing knowledge base of trauma treatment with children. Basic principles of child psychotherapy and child maltreatment are not included in this text. It is recommended, therefore, that, while using this manual, clinicians read other sources for treating traumatized children. I suggest the book Treating Trauma and Traumatic Grief in Children and Adolescents by Judith Cohen, PhD, Anthony Mannarino, PhD and Esther Deblinger, PhD. This text is a great starting point for learning how to treat traumatized children. I have also provided a resource for other books on trauma in our little store.